On July 18th, the Obama administration announced opening the Eastern Seaboard to offshore oil and gas exploration for the first time in decades. 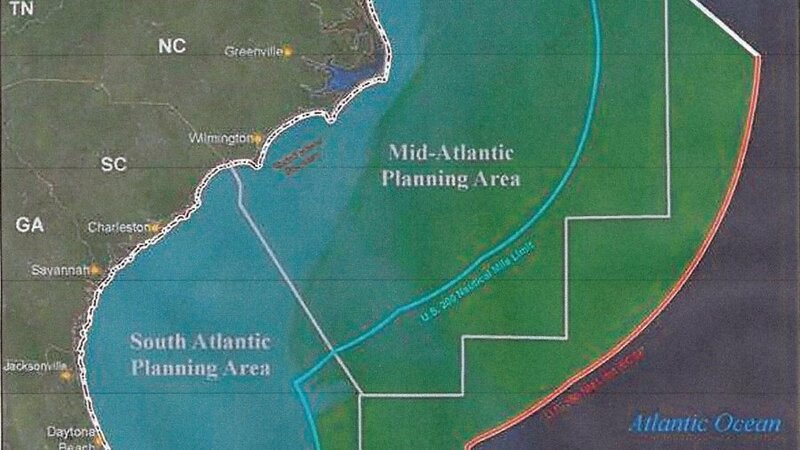 This clears the way for an offshore oil boom stretching from Delaware to Florida where billions of barrels of oil are thought to be locked underground. The BOEM also approved the use of sonic cannons, also called seismic airguns, to pinpoint energy deposits under the ocean floor by shooting sound waves 100 times louder than a jet engine through waters shared by endangered whales and sea turtles. The sonic cannons are towed behind boats, sending strong pulses of sound into the ocean every 10 seconds. The pulses reverberate beneath the sea floor and bounce back to the surface, where they are measured by hydrophones. Computers then translate the data into high resolution, three dimensional images. Environmentalists are particularly concerned about the danger the sonic cannons pose to whales, fish and sea turtles that also use sound to communicate across hundreds of miles. According to the government’s own estimates, the dynamite type blasts could harm more than 138,000 sea creatures including nine of the 500 north Atlantic right whales remaining in the world. These whales give birth off the shores of northern Florida and southern Georgia before migrating north each year. Impacts to marine mammals could include temporary or permanent hearing loss to disruption of communicating, feeding, mating, calving and migrating. Hours after the announcement was made eleven members of Congress from Florida including Senator Bill Nelson sent a letter to President Obama stating, “we urge you to reconsider this proposal and refrain from permitting seismic air gun testing off the coast of Florida.” In all 27 members of Congress have called for the prevention of seismic airguns to protect fisheries, economies and marine mammals.